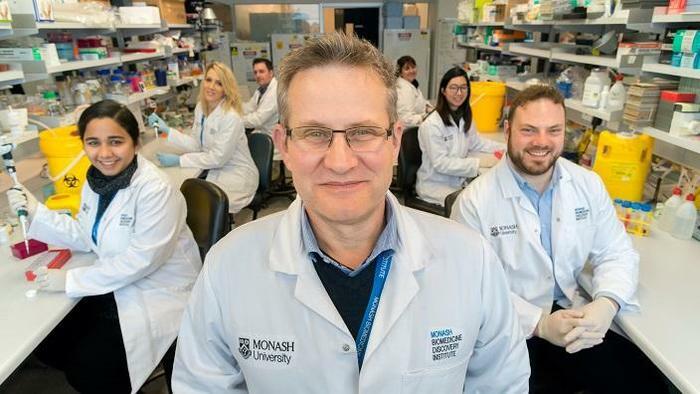 A research team at Monash University‘s Department of Biochemistry and Molecular Biology, headed by Greek Australian Tony Tiganis, have discovered a critical piece of the obesity puzzle that could lead to revolutionary treatments for what is becoming a worldwide epidemic. “Obesity is a major and leading factor in overall disease burden worldwide and is poised, for the first time in modern history, to lead to falls in overall life expectancy,” Professor Tiganis said. The researchers seem to have solved the puzzle that has been baffling them all – a so called “fat switch” in the brain that regulates weight gain. This could also mean a new potential for treatment of obesity in future. The study appeared in the journal Cell Metabolism today. They have shown in laboratory models that feeding controls the ‘browning’ of fat, that is, the conversion of white fat, which stores energy, into brown fat, which expends it. Fat in the human body is stored in specialised cells called adipocytes, which can change from white to brown states and back again. Their study, published in Cell Metabolism today, shows that after a meal the brain responds to circulating insulin, which is increased after a rise in blood glucose. The brain then sends signals to promote the browning of fat to expend energy. By contrast, after a fast, the brain instructs these browned adipocytes to once more convert into white adipocytes, storing energy. These processes help prevent both excess weight gain and excess weight loss in response to feeding and fasting, meaning body weight remains relatively stable over time. The researchers showed that the brain’s ability to sense insulin and coordinate feeding with energy expenditure via browning is controlled by a switch-like mechanism turned on after fasting to inhibit the response to insulin, repressing browning and conserving energy, and turned off after feeding to facilitate the insulin response to promote browning and to expend energy. “What happens in the context of obesity is that the switch stays on all the time – it doesn’t turn on off during feeding,” lead researcher Professor Tony Tiganis said. “As a consequence, browning is turned off all the time and energy expenditure is decreased all the time, so when you eat, you don’t see a commensurate increase in energy expenditure – and that promotes weight gain,” Professor Tiganis said.